Making functional products to support your business goals. Our acrylic film and acrylic paper are high quality performance specialty film or paper. It is available in a wide variety of colors with excellent printability and wearing properties that make it ideal for use in signs. Our acrylic film has superior weathering properties, making it perfect for long-lasting outdoor exposure. Acrylic film is often a clear plastic film, there are custom colors available for your acrylic films. This film is used anywhere toughness, durability, and abrasion resistance is needed. Our films include many types of coatings, such as silicone, adhesive, premask, corona, print treatments, etc. for labels, printing, and protective purposes. Most of our materials can also be acrylic coated. To create a acrylic coated paper or acrylic coated film. Please contact a representative today so they can tailor an acrylic film or acrylic coated product to suit your particular need. Polycarbonate Acrylic or PMMA is also available. See more details about polycarbonate acrylic film. Our adhesive products use both permanent and removable adhesives, depending on the intended application. Besides testing of its adhesive power, it is required that it should be able to stand the commonly used resins, varnishes, and solvents. Extensive quality control is needed to avoid diffusion of chemicals such as sulfide and chloride, etc. Please contact a representative today so they can tailor an adhesive film product to suit your particular need. Sometimes silicone is not the answer to your release needs. 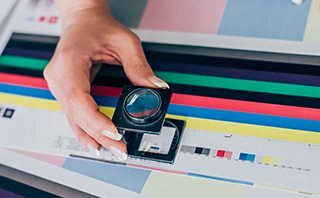 Matte film can do much more than function as a simple release layer: it diffuses light to soften the glare of professional photos, adds a layer of scratch-resistance to furniture, and adds visual appeal to labels. Whether it functions as a heavy-duty surface for non-stick conveyor belts and pallets, or on a chair you sit in at a fast food restaurant, matte film makes a gentle impact in our everyday lives. Often, we mechanically texturize the film itself by either removing microscopic layers once it has dried (known as “sub-micron embossing”), or by cooling the molten film on a texturized roll. As always, our films can come in a wide range of colors and sizes, and can be die-cut, sheeted, or made into rolls of varying widths. Our MDPE (Medium Density Polyethylene) is a plastic material with a good shock and drop resistance. This material is less notch sensitive than HDPE, and its stress cracking resistance is better as well. Our films include many types of coatings, such as silicone, adhesive, pre-mask, corona, print treatments, etc. for labels, printing, and protective purposes. MDPE is defined by a density range of 0.926 - 0.940 g/cc. (Grams per Cubic Centimeter) We also have HDPE Film and LDPE Film. Our non-woven film comes in a wide range of weights and colors. This film is spun-bonded and produced by technology based on multibeam extrusions. The polymer is spun in continuous filaments and randomly deposited on a conveyor belt to form a web. Air is used to draw and depose down the multi-filaments and then the finished fabric is wound into rolls. Please contact a representative today so they can tailor a non-woven film product to suit your particular need. OPP, Polypropylene, films are a material with unique strength, thinness, density confirmation transparency, and gloss. It also has excellent moisture proof properties which allows for clear printing using normal inks. This can be used in packaging food, textile products, pharmaceuticals, and miscellaneous goods. Our films include many types of coatings, such as silicone, adhesive, pre-mask, corona, print treatments etc. for labels, printing, and flexible packaging purposes. Polyethylene terephthalate, PET, is rarely used unsupported in the paper and film industry and is normally laminated to a polyolefin sealant web for heat sealability and improved stress-flex, pinhole, and dart-tear resistance. Our films include many types of coatings, such as silicone, adhesive, premask, corona, print treatments, etc. for labels, printing, and protective purposes. Of course we also offer untreated super clear polyesterfilm. PMMA (polymethyl-methacrylate) or poly(methyl 2-methylpropenoate) is commonly called acrylic glass or just acrylic, is a hard, stiff material with excellent UV stability, low water absorption and high abrasion resistance. PMMA has outstanding outdoor weathering properties and can even be polished to restore transparency. PMMA transmits more light than glass. PMMA is suited for temperatures up to 200 degrees Fahrenheit, Polypropylene Film, PP Film can withstand up to 300 degrees Fahrenheit. The most advanced design applications of curved and coated glass, samples of hybrid glass-ceramics and synthetic crystals, sandwich panels in which sheets of glass are coupled with other materials. New uses of traditional techniques such as blown glass and mobile phone applications. High transparency makes this material an excellent choice for contact lenses. Our films include many types of coatings, such as silicone, adhesive, pre-mask, corona, print treatments, etc. for labels, printing, and protective purposes. Current research on PMMA Films for re-writable holographic optical storage and as a replacement for printing heads. This new storage medium for electronic devices could yet again change the way the world stores information. We offer many types of packaging and industrial film solutions. Please contact a representative today so they can tailor a PMMA film, Polymethylmethacrylate Film product to suit your particular need. Polyethylene film, PE Film, is typically sold in rolls of various sizes and thickness. This highly conformable product bonds well to most surfaces over a wide range of temperatures. Polyethylene is the thermoplastic commodity most heavily used in consumer products worldwide. This product also comes in various density confirmations. Our films include many types of coatings, such as silicone, adhesive, pre-mask, corona, print treatments, etc. for labels, printing, and protective purposes. HDPE Film, MDPE Film, and LDPE Film are variants each with their own distinctive properties. Our Polystyrene film, PS film comes in many shapes and forms and can be found just about anywhere. This film is strong, light, and durable. General-purpose polystyrene is a hard, rigid, clear material. Applications include, shower cubicle doors, panels and DIY. High impact polystyrene has higher impact strength than general-purpose polystyrene due to the addition of a rubber compound at the polymerization stage. Also available is Oriented Polystyrene OPS Film and Biaxially Oriented Polystyrene, BOPS film cut to sheets or provided on rolls. Most applications include bath panels, splash backs, caravan interior trim, refrigeration liners, point of sale display units, and packaging. Our films include many types of coatings, such as silicone, adhesive, pre-mask, corona, print treatments, etc. for labels, printing, and protective purposes. Find more information about Polystyrene Film on our PMMA Film page. Please contact a representative today so they can tailor a polystyrene film product to suit your particular need. Our thermal laminating film consists of over laminate film and adhesive, which is dry to the touch. The over laminate layer of film is particularly suited to any end application which requires good contact, clarity, and durability. General characteristics are excellent clarity, outstanding toughness, exceptional strength, stress/crack resistance, good flexibility, and chemical resistance. The adhesive layer relies on heat activation during the lamination process. When heated, the adhesive melts to a “tacky” condition, where it is married to the printed sheet under extreme pressure. When cooled to a solid again, the adhesive provides a high strength chemical bond. Our adhesives give superior bond strengths on a wide variety of substrates like paper, board, vinyl, styrene, synthetic stocks, metal, and plastics. Please contact a representative today so they can tailor a thermal laminating film product to suit your particular need. Tyvek is an opaque, white, spun-bonded olefin flash spun from high-density polyethylene. Heat and pressure thermally bond small diameter fibrils created in the flash spinning process. This is a very tough, durable material that is good for rugged conditions including water, chemicals, and weather environments where good tensile and tear strength is required. Made from very fine, high-density polyethylene fibers, Tyvek brand protective material offers all the best characteristics of paper, film and fabric in one material. This unique balance of properties, which cannot be found in any other material, makes Tyvek lightweight yet strong, vapor-permeable, yet water, chemical, puncture, tear and abrasion-resistant. Tyvek is also low-linting and smooth. Please contact a representative today so they can tailor a Tyvek product to suit your particular need. Fluorosilicone film is the perfectly-balanced, stable release force for silicone-based adhesives. This pressure-sensitive backing allows silicone tape to be easily converted into rolls, sheets and die cuts.